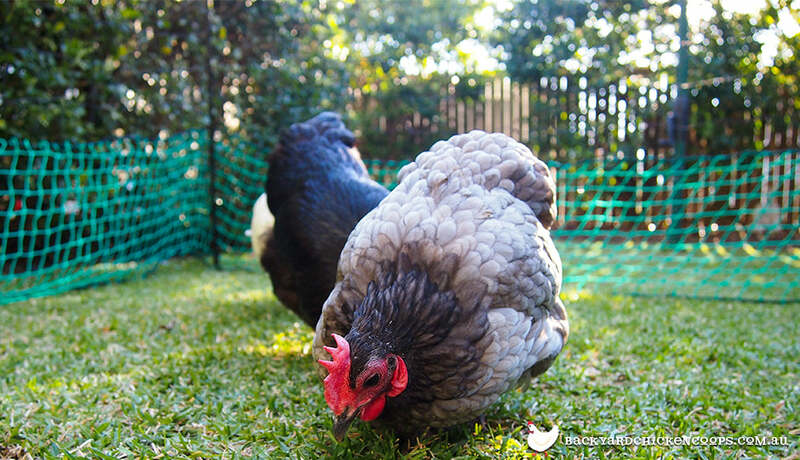 Letting your ladies roam the backyard has many benefits for both you and your flock. Your chooks will delight in the opportunity to sample all the goodies your garden has to offer. Grubs! Worms! Seeds! Grit! Free ranging your chooks means tastier and more nutritious eggs, naturally trimmed claws, exercise for plump poultry, mental stimulation for bored birds, a reduction in feed cost and nourished garden soil. It’s a wing wing situation for all involved! No need to count your chickens! There’s nothing more pleasant than spending a weekend afternoon, cuppa in hand, watching your fabulously feathered girls potter about the backyard. But maybe you are yet to experience this divine pleasure? Perhaps your yard is not secure? Or your chickens haven’t quite grasped the concept of property boundaries? Not to worry, you CAN know the joy of observing a free range flock thanks to the wonders of poultry fencing! Just set up your fencing to suit your yard and let your girls go wild! Still concerned about safety? Try an electrified poultry fencing option. Free ranging is all well and good you might say - but won’t somebody think of the veggie patch?! This is a legitimate concern! Chickens are notorious bad girls with a taste for succulent greens! While there are the occasional ladies who can show restraint, most chooks will clamber over each other to start in on your prize silverbeet! Poultry fencing provides great protection for your patch. So surround those veggie beds or keep your girls in their own V.I.P. (very important poultry) area with some easy to set up fencing and maintain the peace between girls and garden! Looking at other ways to keep your girls amused? Check out our top 6 chicken coop accessories here!